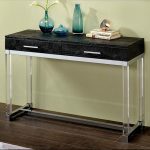 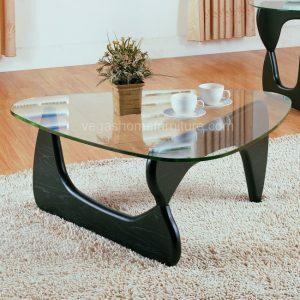 Metal, wood, and acrylic blend together seamlessly for a modern table with unique flair! 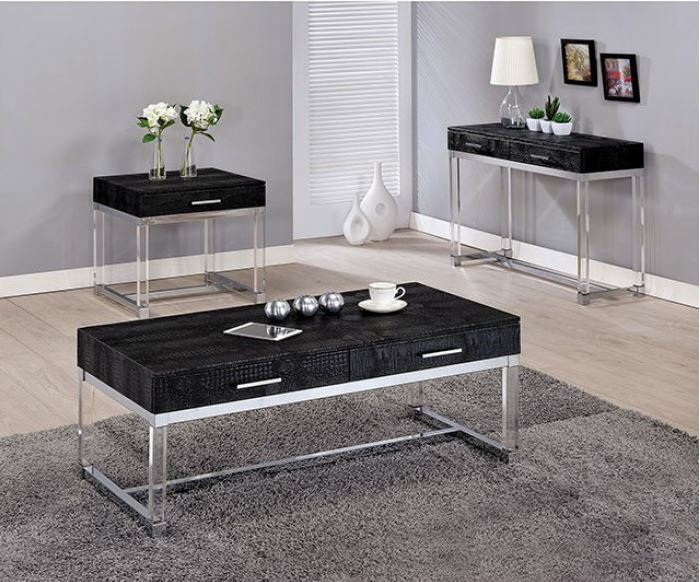 Chrome, T-shaped beams support clear acrylic legs for an eye-catching, open base design. 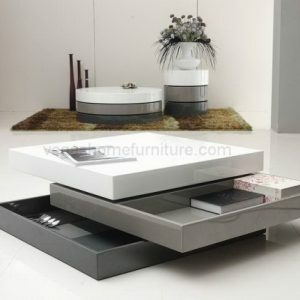 Crocodile texturing along the tabletop masks the slim, compact drawers and completes the look for a design with high style.